The Steelhead was specifically designed for sportsman operating in wet environments whether it is hunting waterfowl from a duck blind or fishing from your skiff in wet weather. 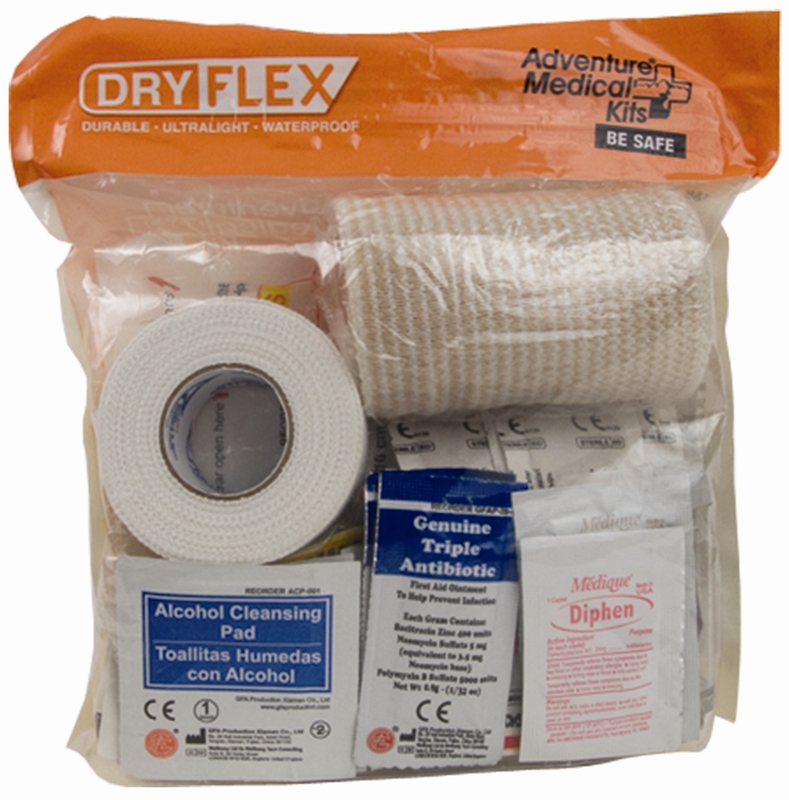 Featuring our proprietary ultralight and watertight two layer system you won't need to worry if you find this kit floating in the water at the bottom of your boat at the end of a great day of hunting or fishing. 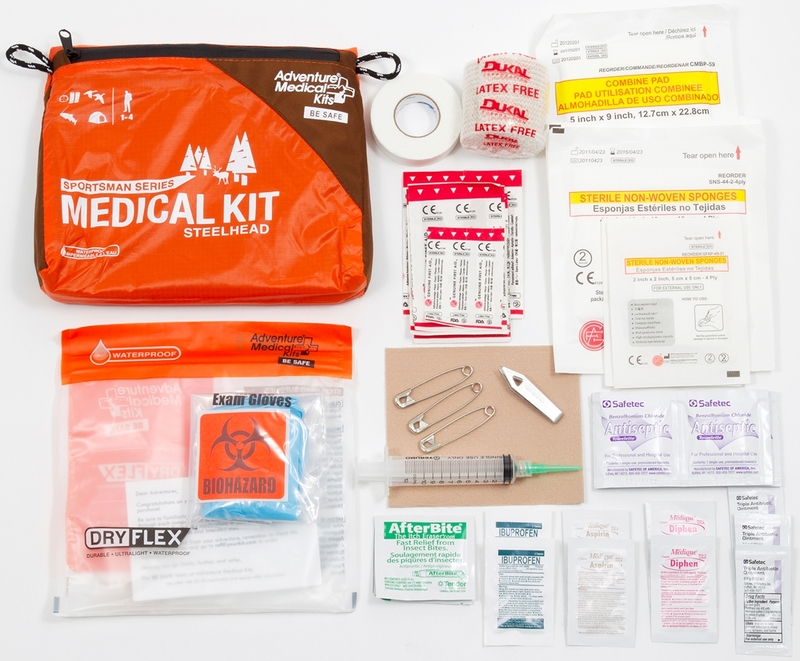 This kit has everything you need for the most common injuries, including an irrigation syringe for cleaning wounds, wound closure strips for closing wound edges, trauma pads for bleeding and much more. Size: 7.25" x 6.75" x 2"
Kyle Peter shows you all the impressive features of the Steelhead Kit. 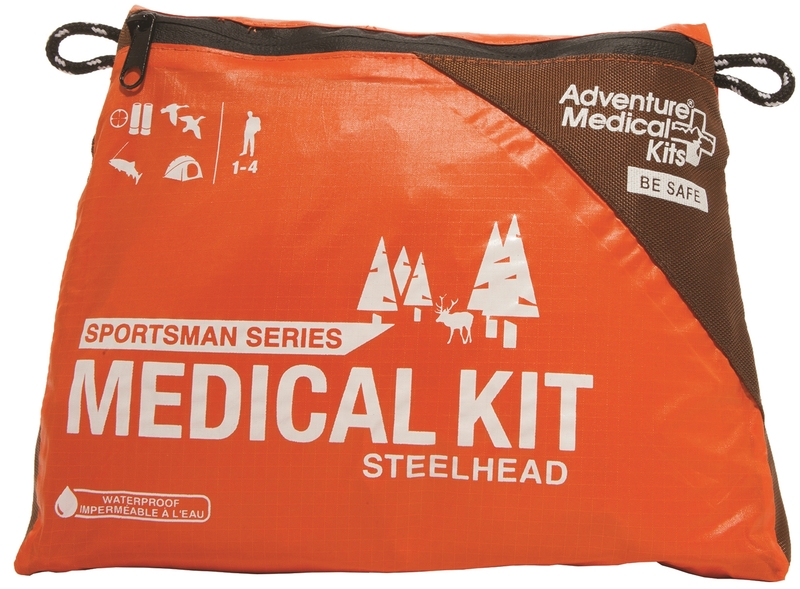 This kit is specially designed for fishermen or those who are headed on trips where wet conditions are expected. 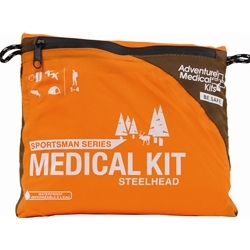 The comprehensive contents of the Steelhead kit are stored in a waterproof DryFlex™ Bag which is housed in a seem-sealed sil-nylon bag for ultimate waterproof storage.